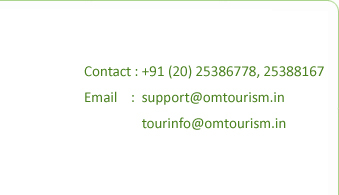 Om Tourism is earnestly trying to give you the best Tour experience in every possible way. Our team is highly motivated and trained to provide the best comfort throughout your tour. To get the optimum pleasure from your tour you are required to read, understand and accept all the terms and conditions before registering for any of our tour. 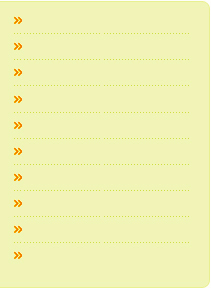 These Terms and Conditions shall be called Om Tourism (India and International Tourist) Terms and Conditions 2011-12. 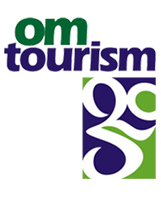 Tourist/s means the person in whose Name or on whose behalf Booking and/or registration is made for any of India and/or International Tours organized by Om Tourism (which expression shall, unless it be repugnant to the context or meaning thereof be deemed to mean and include their respective heirs, executors and administrators). Company means Om Tourism and also includes all types of tours conducted by the company. Abnormal weather or sea conditions including tempest, lightning, hurricane, typhoon, rain and temperatures. h) Meal means breakfast, lunch, dinner and/or any other snacks supplied. (i) Jain food means food without Ginger, onion, garlic and potatoes served at the time of tour groups meals not necessarily before sunset. (j) The masculine gender, shall also include feminine gender and vice versa, the singular shall include plural and vice versa and shall include grammatical versions thereof. (k) Each of these terms and conditions shall be severable and if any provision thereof is declared invalid, illegal or unenforceable, then remaining provisions nevertheless shall have full force and effect. Group tours mean where the services provided are similar to all the tourists in that group. Tourists signature on the tour Booking / Registration form and/or payment of the initial registration amount whichever earlier shall mean acceptance by the Tourist(s) in totality of the Terms and Conditions contained herein. Affixing signature of one or more tourists on the 'Booking/Registration Form', shall be deemed to mean that the tourists other than signatories have duly authorized the signing tourists and all the tourists for whom the Booking / Registration was made shall be deemed to have been bound by the terms and conditions contained herein. The payment of initial registration amount just indicates tourist intention of participation on the tour but does not entitle him to any of the services including travel tickets, visas, hotel accommodations etc. until the full tour tariff payment has been received by the Company. Special services cannot be given to any specific person in a group tour. The Company, without committing itself or being held responsible in any way whatsoever, will make reasonable attempt to accommodate the special needs of disabled travellers/senior citizen's if informed at the time of booking. Most transportation services are not equipped with wheel chair ramps. A qualified companion at the entire cost of the tourist must accompany the tourist who needs services not provided by the Company and or independent Contractor to the other tourists in the Group. It is presumed that the tourists who have booked the tour have gone through the itinerary and is well aware about the same. It is presumed that the Tourist is Medically fit to undertake the said tour. The people who are medically fit to undertake the said tours shall join the said tour. The are people who are and/or who have suffered from any ailments for which they have taken medical treatment have gone into check up hospitalization, shall not join the said tour. Many a times a tour manager is unable to pay any attention and/or to provide medical treatment for any tourist who requires medical attention. The tourist(s) will have to make their own arrangement on the tour for Medical Assistance. The Tour manager may not be in a position to help the tourist. The Tour leader have to proceed as per itinerary because of other members of the group may require his attention to follow the tour itinerary. The Company shall not be responsible for any lack of attention on the tour. If any tourist is suffering from any medical ailment and have concealed the same, the Company reserves the right to cancel the booking / registration of any tourist on medical and or other grounds without assigning reasons therefore. The Company also reserves the right to restrict / modify / amend the tour of such tourist/s without assigning any reasons. If the company so directs, the tourist shall have to travel by a separate transport at an additional cost to be paid by tourist immediately. The tourist suffering from any disease at the time of booking / registration is required to provide the doctor's fitness certificate to undertake the tour. For Kailash Mansarovar tour age limit is 69 years or as may be decided by the competent authority from time to time and for the said tour the medical fitness certificate of the tourist is a must. In case of death of tourist all the arrangements for transportation of dead body including procuring the death certificate, post-mortem, re-patriation of dead body and all personal effects/property and insurance claims etc. shall be made by the accompanying tourist and/or relative of the deceased. Company shall not be responsible for extending any help for the same. The entire expenses shall be borne by the accompanying tourist or their relatives. The company or any tour leader shall not be responsible for the same. If any of the relatives want to visit the country where the tourist expired all the necessary arrangement shall be made by the said relatives only. Persons, friends or relatives of the tourists, who have not booked the tour shall not be allowed in hotel rooms, restaurants, Cars & sightseeing places or for any activity on the tour. The tour cost does not include insurance charges unless it is mandatory as per the prevailing rules of the respective countries. Tourist/s are advised and recommended to acquire adequate Insurance Policy and Overseas Travel Insurance cover as per requirement of the Government of the Country concerned to meet expenses including medical, legal, hospitalization, accident etc. during the tour. For settlement of insurance claims and it is a matter solely between the concerned insurance company and the tourist. Insurance companies do not insure baggage. Tourist is advised not to carry valuables or money on tour and keep any valuables in cargo baggage. In case of any unfortunate event while on tour like hospitalization and/or unfortunate demise, it shall be the sole responsibility of the guest/ relative of the hospitalized person/deceased to submit the necessary claim to Insurance authorities and for further processing of the claim. The registration amount paid at the time of booking, is not refundable and interest free. All the payments by the tourist shall be made in accordance with the procedure laid down in the brochure. The bookings will be processed by the Company only after the registration amount is paid in full. If tourist fails to pay timely full tariff the Company reserves the right to cancel the booking / registration. In case of billing errors, Company reserves the right to re-invoice. In case of dishonored cheques, issued by the tourist in favor of the company the concerned tourist has to pay INR.150/- for every such dishonor and in addition the Company reserves the right to take necessary legal action in respect of dishonored cheques as may be advised. The tourist booking the tour 20 days before the tour departure (subject to availability) has to make all the tariffs/payments to the Company by demand draft or cash. Early booking of tour makes the tourist eligible for the benefit or discount as declared by the Company which are valid for limited number of seats, limited period, specific tour and varies from tour to tour, region to region and country to country, tourist to tourist and age of the tourist. The Company reserves the right to amend, alter, vary or withdraw any of the discounts/benefits without prior intimation to the tourist. To be eligible for any discounts/benefits tourist must pay the full registration amount at the time of booking itself. Discounts/benefits are generally applicable for tourists whose age is 2 years and above for International tours and 5 years and above for Indian tours. Passport is an official document required whenever tourist intends to travel abroad and in addition the tourist should have visa of that particular country which the tourist wants to visit. Before submission of the passport to the Company for obtaining visa, tourist has to ensure that passport validity is minimum 180 days from the arrival date of the tour in India and it has sufficient blank pages, which should not be damaged/stapled/torn,etc. for recording the visas of the respective countries. All tourists booking tours for Europe sector should ensure that the year of issue on their passport should be after 01/01/2001. Tourist travelling abroad should take care of not losing passport. Loss of passport on tour involves costs and consequences such as filing FIR, visiting Indian Embassy, getting new passport or landing certificate, expenses on the stay, food, transportation etc. all of which have to be borne and paid by the tourists only. Getting the landing certificate or the new passport is the sole responsibility of the tourists alone. Tour Manager is not responsible or liable or under obligation, for the loss of passport and consequences thereof. Entire consequential expenses shall be met by the tourist(s). Any other tourist accompanying the tourist who has lost the passport wishes to terminate the tour intermittently will also be responsible to meet the expenses etc. No further refund will be given for the tourist leaving the tour abruptly. It shall be sole responsibility of the tourist to hold required valid travel documents and statutory clearances, including passports, visas, confirmed travel tickets, insurance including medical insurance certificates, any other document used to confirm the services of tour including an arrangement with independent contractor and other statutory certificates, to enable him/her to undertake tour. All travel documents are non-transferable and must be issued in the name of the passport/photo identity holder, otherwise if the booking may be cancelled. Passport must be valid from the start of the tour to at least six months subsequent to the scheduled departure date of the tour. The Tourists shall ensure timely collection of all such documents enabling them to undertake tour and be present in time for departure. Tourists should keep certified true copies and photo- copies of all documents including valid travel documents and statutory clearances, including passports, visas, confirmed travel tickets, insurance including medical insurance certificates, any other document used to confirm the services of tour including an arrangement with independent contractor and other statutory certificates, used by him/her while on tour. All tourists travelling by air for Indian / domestic sectors are advised to carry the photo identification in the form of driving license, election ID card, Pan card and for students their school / college ID card. At certain sightseeing places, the Identification proof is required for which company has no control and is mandatory. The identification documents must be produced by the tourists as per the rules and regulations prescribed at different locations. All services of the tour including changes in schedules of mode of travel may have an impact on tour itineraries, and the Company reserves the right to change / modify / vary / alter in the tour itinerary and/ or tour tariff accordingly. Such changes etc. shall be intimated to tourist, prior to the start of the tour or on tour as the case may be. Additional charges if any due to such changes etc. over and above the tour tariff have to be paid by the tourist before or on tour itself as the case may be. Tourist shall not claim refund for missing any services of the tour due to delay on his part. No complaints /compensations and/or claiming of refunds by the tourist will be entertained by the Company for limitation and/or non- availability of certain services including museums, restaurants, sightseeing, shopping etc. even though included in tour itinerary. City tour includes panoramic view of places as mentioned in tour program and unless specifically mentioned, it is panoramic view or a photo stop. Company reserves the right to / modify / alter / vary / change Tour Dates, number of days of the tour etc. Tourists joining and/or leaving the tour at places other than indicated in the tour. Such tourists should possess the entire air travel tickets including internal sectors along with valid visas for the respective countries and insurance cover if required by the concerned countries, unless otherwise informed. If such tourists are reaching before the scheduled arrival time of the tour at the respective airport then they should be present in time at the respective airport arrival hall of the terminal where the concerned tour group is landing. If tourists are reaching after the scheduled arrival time of the concerned tour the tourist should join the tour group directly at the hotel/1st destination/sight seeing place, etc. as the case may be on their own and at their own costs and risks. Such tourist are required to provide to the company 20 days in advance before the tour starts details viz. Inward and outward flight/journey details, Photocopy of an airline ticket, E mail, mobile, contact particulars of the tourists. If the tourist decides to cancel the tour for any reason whatsoever he shall make an application in writing to that effect within specified time limit hereunder along with the original receipt issued by the Company. Such cancellation will attract the cancellation charges stated hereunder. Cancellation charges for any mode of transport ticket are applicable as per the rules of the concerned authority. Air ticket cancellation charges for special fares if paid by the tourist are NON REFUNDABLE. Any refund payable will be refunded to the tourist after receipt of the refund from respective authorities after deducting the processing charges. Above cancellation charges will apply on the total tour price excluding rail and air fare. At some places/destinations/country, there are paid toilet halts, which tourists have to take care on their own. Refunds if any, for variation/modification/amendments/alteration and/or cancellations etc. of any tour will be paid directly to the tourist by 'A/C payee' cheque, in Indian Rupees at the prevailing rate of exchange on the date of the cheque, as per Reserve Bank of India Rules and Regulations, irrespective of whether the tour payments in part or whole were made in foreign currency. For any missed / unused services of the tour including the meals due to any reason whatsoever. If any tourist decides and or is required to cancel the tour due to any changes made in the rules by the concerned Government. Refund is not applicable for Indian / domestic sectors and on certain conditions which include that such air tickets are non refundable and date change is not allowed. Amend, alter, vary or withdraw the discounts/benefits or the priority booking of bus seats given, if the minimum registration amount is not paid at the time of booking or if any cheque drawn in favour of the Company is dishonoured, and or without assigning any reasons whatsoever. To vary, add, amplify or waive any stipulation, representation, term or condition set forth in this brochure. Train/flight delays, on account of any reason whatsoever rescheduling/cancellation of train / flights / inter-connection meals not being served etc. Any tour, holiday, excursion facility exceeding the total amount paid or agreed to be paid by the tourists for the tour, including any consequential loss or additional expense whatsoever if the tourists is not allowed to board the train/flight to on account certain reasons beyond the control of the Company . Any loss of baggage by independent contractor or their agents, hotel staff, bus/coach or during tour including damage or loss caused to the tourist due to Force Majeure, negligence or technical fault or any other reason whatsoever on account of any change, amendment or cancellation in their schedule by Airline/Railway Authority. Allocation of seats, and food service in the aircraft. Any celebrity assigned for the tour as an entertainer not turning up on the tour due to the reasons beyond the control of the company. Death of the tourist while on tour and all applicable rules and procedures of law are to be followed strictly and all the procedures pertaining to the death will have to be tackled and handled by the tourist or their relatives themselves at their own cost and consequences. Any injury, loss, personal harm, death or damage caused to any person or property by the act or default of the management / employees / agents of any independent contractor. Any damages, additional expenses or any consequential losses suffered by the tourists due to Cancellation, Amendment and or alteration of any of the services of the tour mentioned in the itinerary / Brochure by the Company after the registration / booking by the tourist. Each of these conditions shall be severable from other if any provision declared invalid, illegal or unenforceable, then remaining provisions nevertheless have full force & effect.